A double boredom buster! 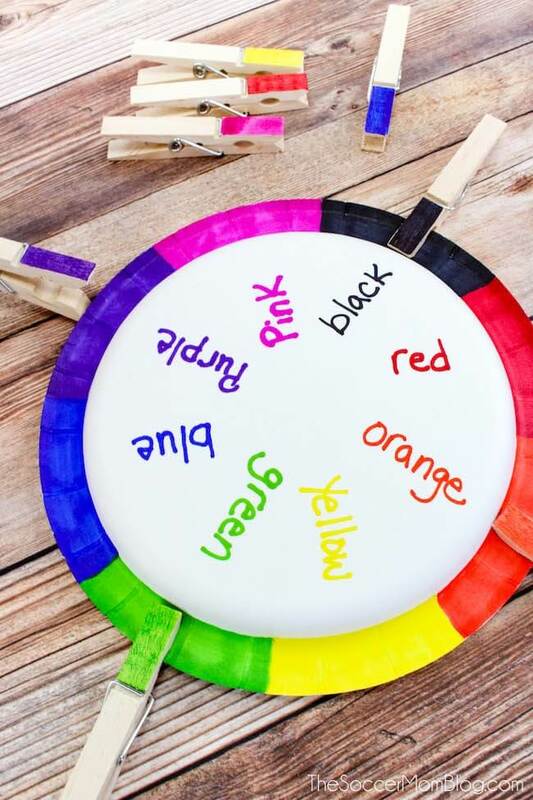 These Kids Dinosaur Discovery Eggs are both a clever craft and an exciting learning game to help kids identify different dinosaurs. Perfect to accompany the new Amazon Original Kids series, Dino Dana! Post sponsored by Amazon Prime Video. Growing up, I was obsessed with all things dinosaurs. I collected dinosaur toys, devoured dinosaur books, and watched my favorite dinosaur movies over and over. 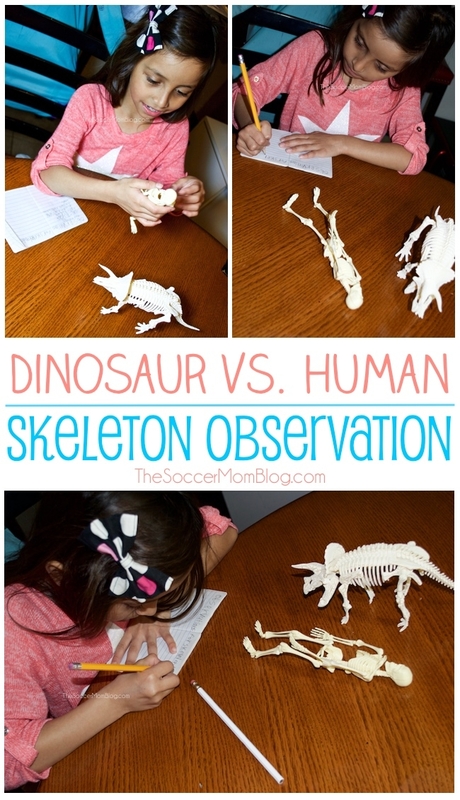 In the show, Dana, a “paleontologist in training” is a dinosaur obsessed kid (like me!) who begins to see dinosaurs all around her. Hilarious and sometimes messy adventures abound in this captivating live-action and CGI series. My youngest daughter (3) was especially fascinated and wanted to watch every single episode. I’m always happy to find kids programming that actually is fully appropriate for kids and offers educational benefits. I especially love that Dino Dana features a strong female lead character who is interested in STEM instead of the stereotypical “girlie” hobbies on some television shows. Dino Dana, debuts on Prime Video, Friday, May 26, in the U.S. and U.K. Click here to watch the new Dino Dana series on Prime Video, then make these Dinosaur Discovery Eggs to play along and learn more! Watch the Dino Dana trailer here! I’ve provided shop-able ad links for your convenience in re-creating this craft; read our full disclosure policy here. 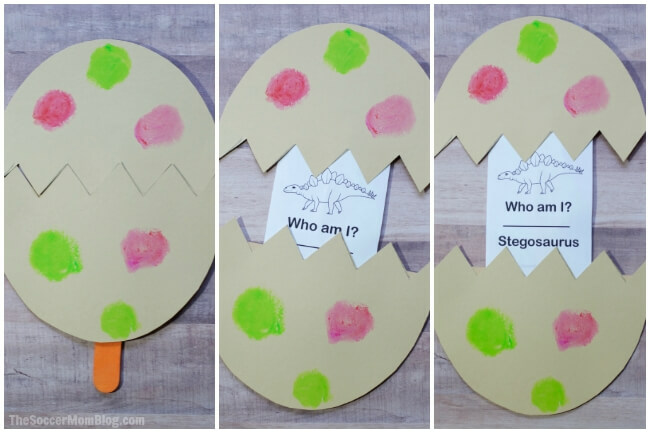 Start by printing dinosaur flashcards and the dinosaur egg pattern (click here for the free printables!) Cut out the dinosaur cards and set aside. 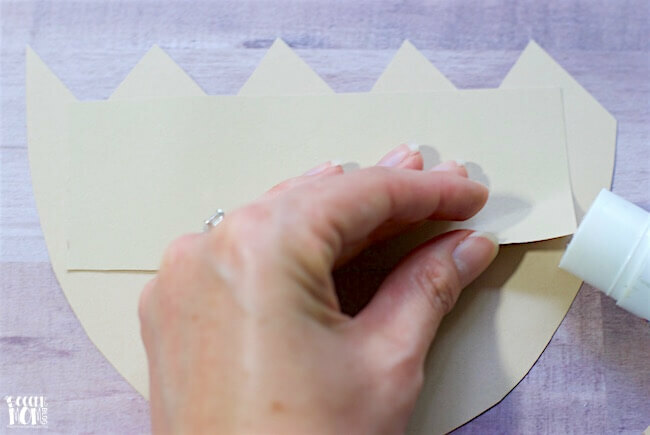 Cut out the dinosaur egg pattern and trace onto a sheet of colorful card stock. You can make as many eggs as you’d like if you want to make one egg for each of the dinosaur cards. 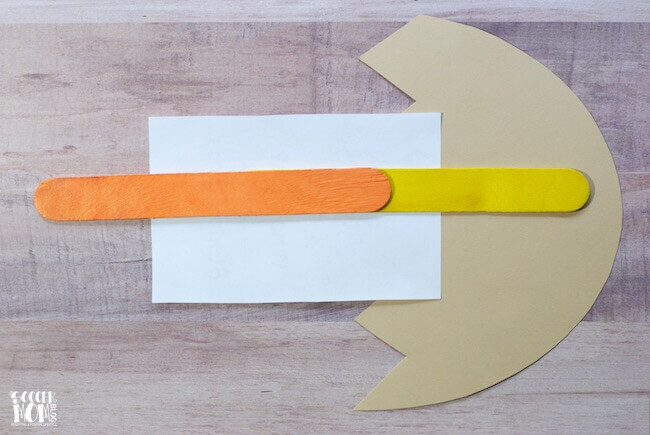 Cut out card stock egg pieces. 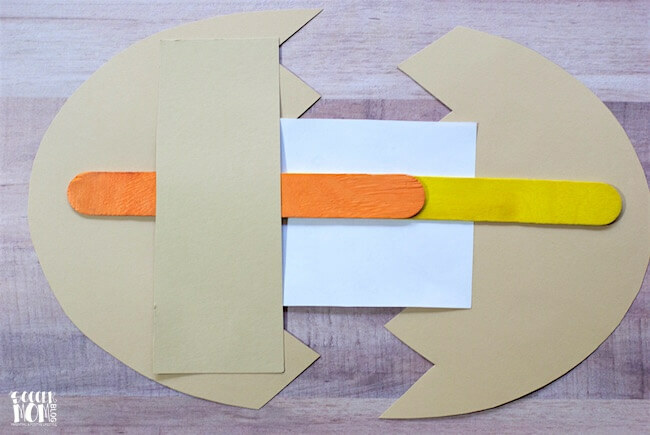 Cut a strip of card stock from your scraps to the same width as your egg, about 1″ thick. Glue the ends of this strip to the back of the bottom piece of your egg, just below the cracked edge. The flashcard should slide freely up and down, along with the top piece of the egg. Now let your creativity run wild — decorate the eggs and color in the dinosaur cards! Have fun guessing and learning the names of different dinosaurs!